In 1962 my family and I started this nutritional business to help folks to a healthier life through good sound nutritional products. We also felt that we had a moral obligation to also make sure that our little corner of the world, here in Tennessee, did everything it could to be an eco-friendly place. Today I am proud to say that we have achieved our goal of reducing, reusing, and recycling, to make us 100% green! Our planet is not disposable, and it does not have an unlimited amount of natural resources. We have installed one of the largest solar panel systems in the state of Tennessee. It produces clean energy from the sun to power our office complex and manufacturing facility. In addition, all aluminum cans we use are totally recycled. All pull tabs are removed and specifically donated to the Ronald McDonald Charities, to help families with critically ill childen, to be at their side during trying times. An estimated 35 billion aluminum cans are thrown away every year. Recycled aluminum cans save an estimated 95% of the energy it takes to produce it initially. It takes on average an estimated 650 plus years for a plastic bottle to decompose, yet in the US we only recycle an estimated 34% of them. All plastic bottles and containers we receive and use are totally recycled. The way we see it is that each and every one of us needs to care a little more about how we are treating the little corner of the earth where we live. Not just for us, but for future generations that follow. Dee Cee Laboratories is 100% committed, and we are doing our part to reduce, reuse, and recycle. NOW, because we know that we are only the caretakers of the earth . . . Not the owners. . . .We hope you agree. That's our thoughts... we just thought you should know. Most all of Dee Cee's products are manufactured in-house and contain no harmful chemicals or preservatives. We have a commitment to the quality of our product and to the quality of service we provide you. That is why we can offer the following guarantee without reservation or hesitation. We provide an ABSOLUTE 100% SATISFACTION GUARANTEE. It states that you must be completely satisfied with any product you purchase from Dee Cee Laboratories or you can return it within 30 days for a replacement, credit or full refund. However, customers selling in violation of our MAP pricing agreement will be subject to a restocking fee of up 25%. You may never enter these doors, but behind them is a staff that is ready to meet your every need in a friendly and courteous manner. Dee Cee's staff and personnel are always looking out for you, the customer. If you don't think something is right we will make it right before we call it finished. You're the reason we continue to operate and we don't forget that. That is what sets us apart from all the rest. We don't rest until it is right, whether in production, packaging, customer service or shipping. What you get is the best it can be when it comes to Nutritional Products. Our New Manufacturing Facility combines the latest in technology to insure a quality product every time. 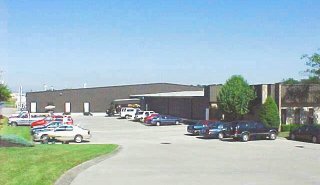 Our 45,000 square foot facility combines all of our functions under one roof. Raw material ordering, receiving, manufacturing, packaging, labeling, order processing, customer service and shipping. Everything under one roof keeps us in control from beginning to end. Our Food Scientist along with other Quality Control Personnel check raw material upon arrival at our facility. After the initial inspection, samples of each raw material are taken to the lab and tested for Physical Appearance, Microbiology, Moisture, Density, and Particle size. Including Total Plate Count, E. coli, Salmonella and Yeast/Mold. Each raw material must pass all of these tests before being released into the warehouse for future production. All raw materials are stored in a climate controlled warehouse until they go into a production area that is also tightly controlled by the automated climate control system. 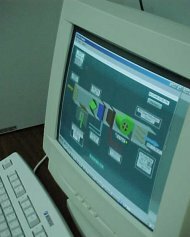 This Computer controlled, automated system controls the environment of storage, preparation and production areas. Our automated control system not only controls warehouse functions but all production rooms. 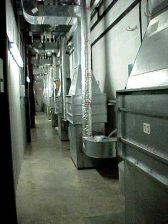 Each production room has its own HVAC Unit that is controlled via computer which constantly monitors temperatures, humidity and air filtration. This insures each product its own environment with no possible contamination from outside sources. 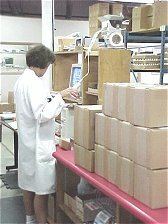 Our dedicated staff in packaging has been trained in GMP's (Good Manufacturing Practices) and SOP's (Standard Operating Procedures). 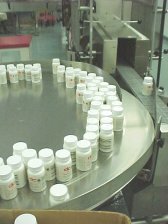 GMP's contain the Government standards for product coding, dating, labeling, filling and many other specifications for handling and packaging products. SOP's contain detailed written procedures of how we will carry out GMP's to insure the quality, reliability and validity of the products we package. Shipping is no different than any other area. It is controlled by multiple checks. Orders are picked by one person and checked by a second person. Orders are not picked, checked and shipped by the same person. This insures that you get the product you ordered! Mistakes are very rare with this type of multiple check procedure.